Personality Profiles have been developed as a means of assessing an individual's character and abilities and are often used by employers to ensure that a candidate is suitable for a specific role. They are becoming increasingly popular during the recruitment process either in the initial stages, where it is necessary to whittle down a large number of applicants, or in the latter stages to finalise the decision. Employers can use generalised personality profiling or they can even use tests that are specifically tailored towards assessing suitability for a particular role. For example, an administrator would need to be able to demonstrate organisational skills, efficiency and good written communication skills and a psychometric test could be developed to assess these particular attributes. An example of a personality profile commonly used in the recruitment process is a DISC Profile. A simple questionnaire is completed, the results of which can provide an employer with an insight into an individual’s approach to work, their motivation and their strengths or weaknesses. This information can then be used to make an assumption as to how a person will respond in a particular situation. There are 16 different personality types that can be determined by the Myers Briggs Type Indicator based on the differing preference levels of the above factors. Many people are now using personality profiles to help them to identify what career path they are ideally suited to. Schools and colleges commonly encourage students to complete a Morrisby Profile, a specific personality profile designed to assess your abilities, work style and key talents before matching these to a list of the most appropriate jobs accordingly. An aptitude test does not necessarily assess your skills or experiences in a particular area but is rather a judge of your potential to undertake certain activities. Based on the results of an aptitude test, an employer can ascertain whether or not you will be capable of performing the tasks involved in a particular role. 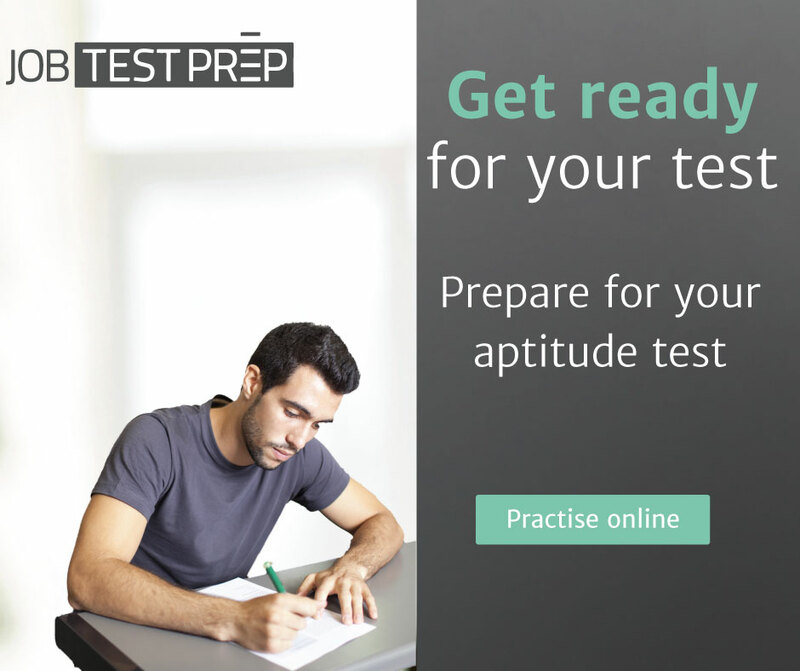 Perhaps the most common aptitude tests are those which assess numerical reasoning and verbal skills. Numerical tests are normally based on your ability to apply basic mathematical principles including calculations, identifying sequences and patterns and thinking logically. You can help to prepare yourself for numerical reasoning tests by practising basic sums without using a calculator, reciting times tables and completing number puzzles. Once it has been ascertained whether or not you are capable of performing a role, a personality questionnaire can be used to indicate if your personal characteristics are actually suited to the position. There is a real danger that significant differences between your personality traits and those of the people you will be working with can cause conflict and result in under-performance, poor motivation and general unhappiness in the workplace. Possibly the most important advice for the completion of a personality questionnaire is to make sure that the responses you give are totally honest. It can be tempting to try to give the responses that you think the employer is looking for, even if this is not actually an accurate representation of your character. However, there really are no right or wrong answers in a personality questionnaire and, if you are called for interview, you will need to be able to demonstrate the personality traits that you claimed to possess in the questionnaire. Sometimes, a personality questionnaire may even pose very similar questions that are worded slightly different just to try to catch out people that may be attempting to portray a false representation of their character. Ultimately, it is to your benefit to be honest when completing a personality questionnaire otherwise you may end up in a role that you are just not suited to. In general, personality profiles should be approached calmly and rationally – remember that there will not be any “trick” questions so, quite often, the answer that seems the most obvious is indeed the correct one. You can prepare yourself by making sure that you have a good sleep the night before and, while making sure that you remember to eat breakfast to boost your energy levels, avoid drinking too much coffee as this may have an adverse effect on your responses. Listen carefully to any instructions that you are given before the test and make sure that you read each question carefully. Finally, remember that you will not be tested under circumstances that are any different from other people completing the tests so your chances of success are just as good as anybody else’s.